You are such a smooth talker Duncan! We don't know how you get away with it, but you do. Hope you and your beloved Mom have a grrrrreat day. 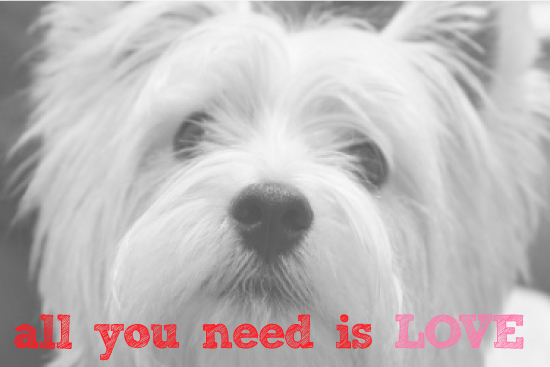 All you need is love and TREATS! Happy Valentine's Day, Duncan. We know your mum loves you back...LOTS! That is SO SWEET Duncan!! I'm sure your Moms is SO happy she is your Valentine!! Oh yah, we all LOVE our Moms!!! What a lovely Valentine's message Duncan! I completely forgot about Valentine's this year which was a wee bit sad and naughty!! You got so much love you just don't know what to do with it all!!! I'm thinking next year I'll need to have my own valentine! !